PRINCETON — The Brooke Bruins have one more chance to get in the win column Friday night with a trip to Princeton, as both teams will look to close the season with a first victory of the season. “They have crossed paths with a lot of our opponents this year,” Brooke coach Mac McLean said of Princeton. “They are very comparable to us. They have good size up front. They throw the ball a ton. We are going to have to be ready for that. According to McLean, the young Bruins have shown improvement in recent weeks, including in its 20-6 loss to rival Weir High in its last outing. McLean wants to see his team get in a rhythm early against the Tigers. Brooke’s offense averages 143.6 yards and 10.2 points. Leading it is senior quarterback Gage Yost, who has thrown for 856 yards, six scores and seven interceptions while completing close to 40 percent of his passes. The Bruins’ defense has allowed 431 yards and 46.9 points. Princeton’s offense averages 13.3 points, while the Tigers’ defense allows an average of 42.5 points. RICHMOND — Shane O’Brien concluded his first season leading Edison with a 4-6 record, doubling the win total from the season prior. Now, with a year under his belt, he feels he will get even more comfortable. Though the Wildcats lose 16 seniors, O’Brien is excited about who will be returning. Anthony Sinicropi, one of those seniors, finished as the third-ranked passer in the Herald-Star/Daily Times coverage area, throwing for 1,362 yards, 14 touchdowns and 13 interceptions while completing 57.9 percent of his passes. He added another 422 yards and six scores with his feet. Kaleb Waggoner led the team in rushing with 701 yards and 10 touchdowns, averaging over five yards per carry. Bryce McAfoose, a senior, caught a third-best in the are 35 passes for 404 yards and a pair of scores. Edison’s offense averaged 285.7 yards and 23.6 points per game, while the defense allowed 315.9 yards and 27.3 points. NEW MANCHESTER — Ted Arneault saw his Oak Glen football team have one of its best seasons in recent memory, finishing 5-5. Though it will not qualify for a spot in the West Virginia AA playoffs, he likes the direction things are headed. 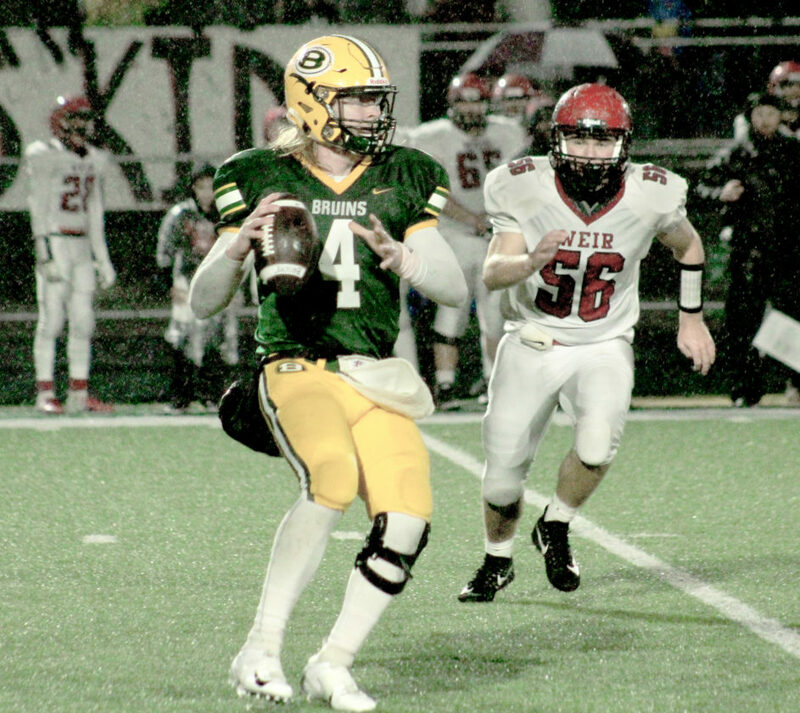 The Golden Bears lose eight seniors, but have several key pieces coming back, including sophomore quarterback Nick Chaney who finished the regular season as the leading passer in the area with 1,762 yards, 23 touchdowns and 12 picks. “We have a lot of young kids that have played in all the positions,” Arneault said. “We were a majority underclassmen team. I think it will pay off. We are going to come back next year as a very experienced, veteran football team. Oak Glen averaged 327 yards and 28 points per game on offense, while allowing 304 yards and 29.5 points. “Progress is the one word I would say to define the season,” Arneault. 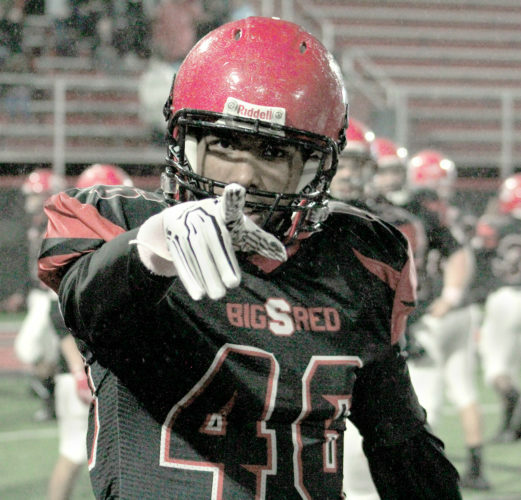 TORONTO — The Red Knights were in the playoff conversation until after the final game, a 37-0 win over rival Wellsville. As much as he and his team would have liked a Week 11, first-year coach Josh Franke was happy with the season when all things were taken into consideration. “It was a constant battle of adversity,” Franke said. 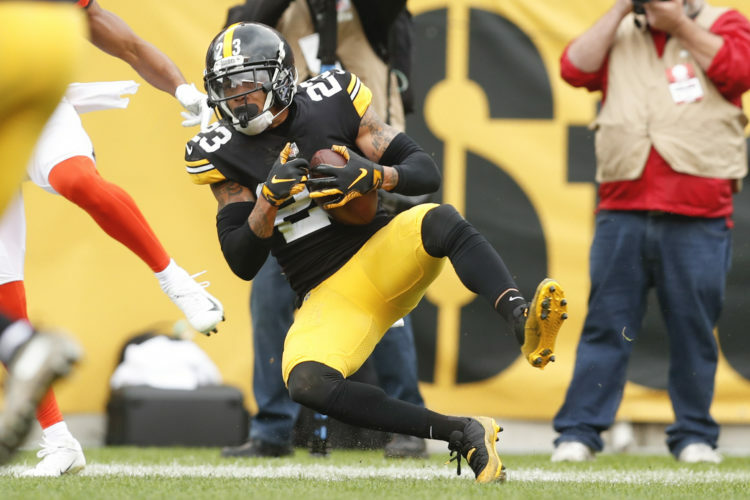 “Getting a late start, not having a full offseason with the kids, Nathan (Karaffa) getting hurt, it was constantly trying to play catch up it seemed like. We did really well with the hand that we were dealt. Toronto, which finished 4-6, loses seven seniors. Franke is excited about what the Red Knights will have returning, though. Karaffa set a pair of school record in the final two weeks and finished with 587 yards and seven passing touchdowns in the final four weeks. He added another 297 yards and four scores rushing. 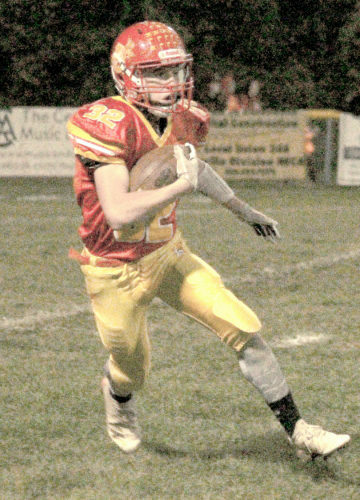 Leading the rush attack was Kobe Herrick, a senior, with 386 yards and four scores. Zach Stackhouse caught 28 passes for 424 yards and four touchdowns. Toronto averaged 256.9 yards and 20.7 points on offense, while allowing an average of 268.3 yards and 20.7 points on defense. 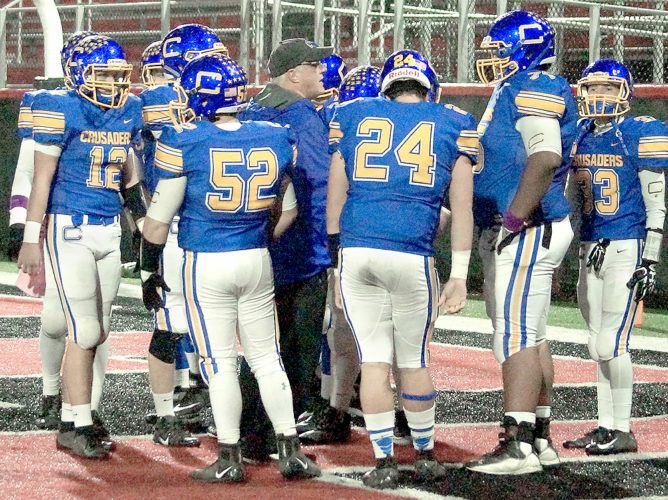 CADIZ — Harrison Central wrapped up the season with three-straight wins to end up 4-6. With some skill players returning, first-year coach Anthony Hayes hopes to see that momentum carry over to next year. “It was everything that I hoped it would be in terms of having an opportunity to build off of what we have been doing here under (former) coach (Justin) Kropka and being able to add my own touches to it and expand on that,” Hayes said. “It was a wonderful experience, I hate to see it come to and end. We were fortunate enough to run off three consecutive wins and hopefully we can carry that into next year. The Huskies lose 10 seniors, but one of those returning is sophomore quarterback Kobe Mitchell. He finished the regular season second in the area with 1,665 yards, 17 touchdowns and seven picks. “Those seniors gave us everything they had this year,” Hayes said. “With the position we were in, we got some young guys in there maybe a little earlier than we had hoped. Hopefully that pays dividends. Kobe is coming back and, in my opinion, is one of the finer quarterbacks in the area. Tyler West, the team’s leading rusher and receiver, is one of the seniors departing. He finished fifth in the area in rushing with 806 yards and nine scores, while concluding the season fourth in receiving with 34 catches for 654 yards and an area best 12 touchdowns. The offense averaged 328.5 yards and 22.7 points per game, while allowing 333 yards and 29.3 yards on defense. 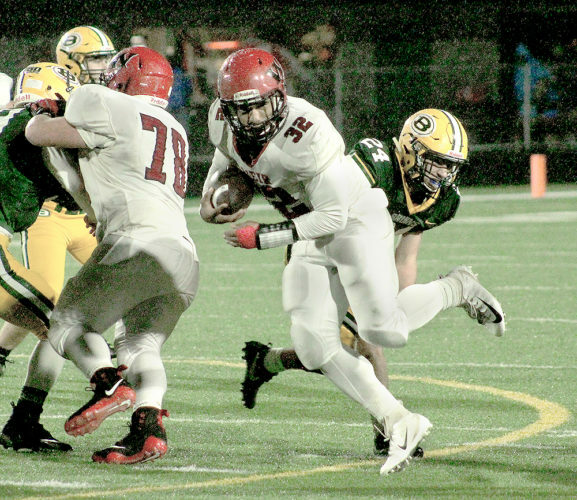 YORKVILLE — The first victory under coach Roger Herbert eluded the Panthers, but Buckeye Local leaves the 2018 season with several positives. Seth Richardson, who also started about half of the games in 2017, finished his junior season seventh in the area with 862 passing yards, six touchdowns and 12 picks. He completed a very respectable 49 percent of his passes. The Panthers, who lose 10 seniors, had a couple receivers solidly among the area’s top 15 as well in Shayne Christian and Brian Palmer. Christian, a senior, hauled in 26 catches for 318 yards and two scores, while Palmer finished with 23 catches for 210 yards and a score. Buckeye Local averaged 127.4 yards and 9.3 points per game on offense, allowing an average of 360.5 yards and 38.2 points on defense.